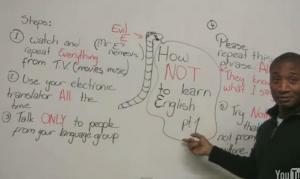 What are the four major mistakes that students make when they try to learn English? Take this lesson and make sure you aren't making these errors. 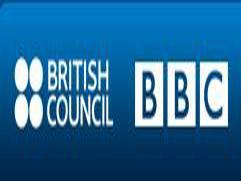 Discover websites that offer free downloadable listenings for learning English about current affairs, general topics and American and British accents. In addition to general suggestions there is also a section on essential phrases for giving presentations. 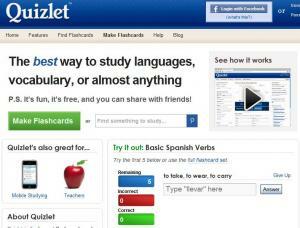 Quizlet is a free web site you can use to create or access flashcards, practice spelling, and build up your vocabulary. 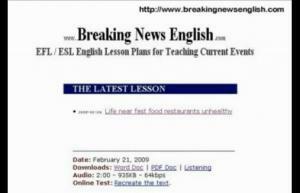 This site will be best used if you decide to create your own online flashcards as there are not many ESL resources available here YET. Under the category "English" subtopic "toeic" or "course toeic" you can find Chinese/English flashcards. Learning a language also means learning a culture. An entertaining English teacher from Canada gives a short informative lesson about cultural differences. Fun and interesting. 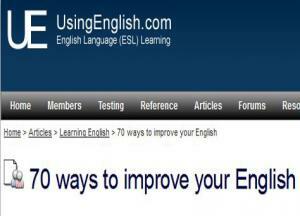 70 practical tips for improving your English from learning a famous speech or poem by heart, to watching English children's films or TV programmes. Great ideas and great fun! This article describes the positive things that successful students do to learn English very well, as well as providing great links to more resources to test, check and improve your studying! 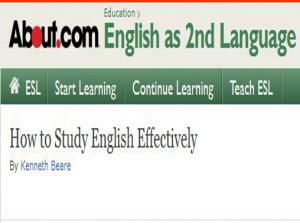 There are many ways to study English, but many students ask which is the most effective. While there may not be a single answer that is right for every student, this site gives you advice and some helpful guidelines as to how to study that should help. 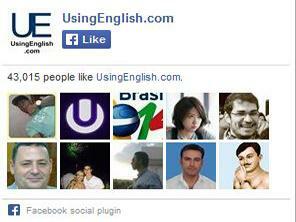 Have you ever been curious about your level in English? 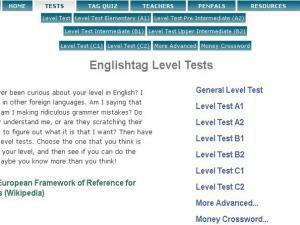 Use this site to try one of the level tests. Choose the one that you think is more or less your level, and then see if you can do the exercises. Maybe you know more than you think! 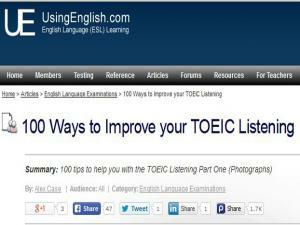 A useful site giving tips and advice for the TOEIC listening Part One exams, giving 100 ideas on how you can improve your score in the short and long term, most of which you can do on your own outside of class. 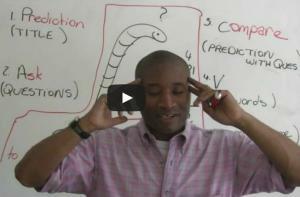 Learn how to summarize what you read in this video lesson. Absorb information more efficiently! 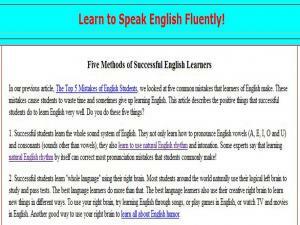 You will be more successful in your language study if you understand your learning style. This site goes through a number of questions and answers: What is a learning style? Where do learning styles come from? Why should teachers know about learning styles? What types of learning styles are there? and What teaching methods and activities suit different learning styles? 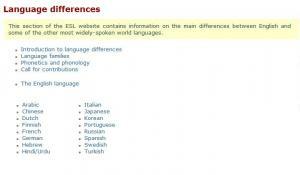 This page contains information on the main differences between English and some of the other most widely-spoken world languages. Be prepared for the difficulties or benefits you have in English based on your mother tongue. 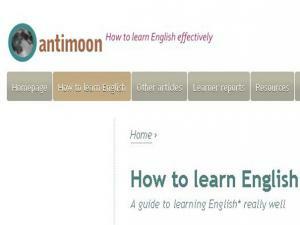 This site offers a simple 6-point guide to learning English and what tools to use. Follow the links for more information and advice for each individual guide point.